We know that children learn by example, yet sometimes setting a good example can be difficult for parents. But if you start early enough and follow as many of the ten tips given below as you can, you will teach your child to be more eco-conscious. 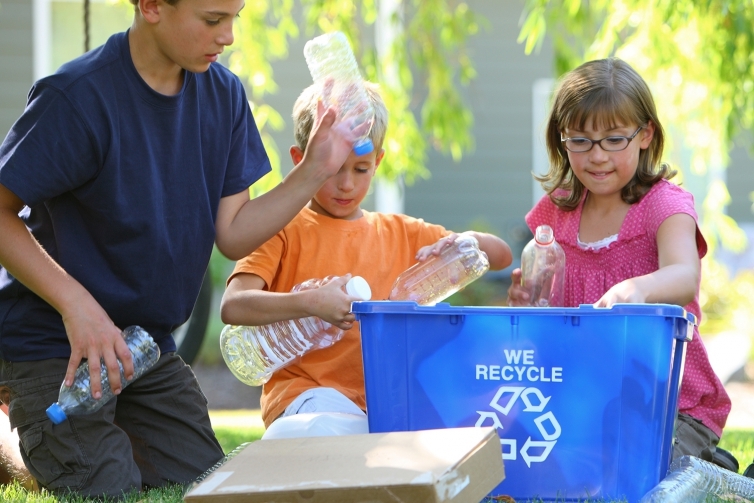 Teaching environmental responsibility from an early age makes it a lot easier for older children to be more earth-friendly. 1. Unplug your kid and get them outside. 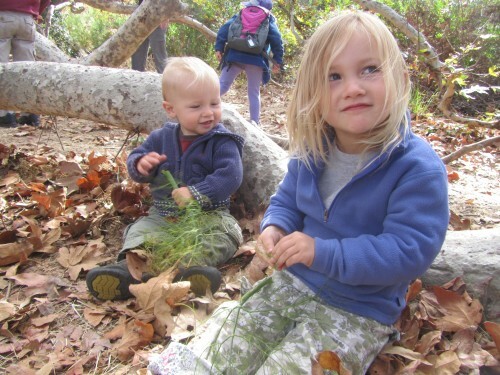 People protect what they know from first-hand experience, and so good environmental practices sink in if a child appreciates what they are protecting. 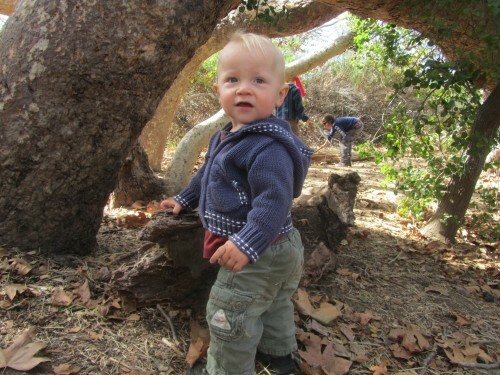 This can be as simple as playing in the yard or taking them on a nature walk. Let them enjoy getting dirty. A love of the outdoors and a dirty kid go hand and hand. As a bonus, a love of nature often brings a respite and a safe haven from an increasingly busy world. 3. Teach your young child to save energy by turning off the lights when leaving the room or the house by having fun with this money-saving behavior. You can easily make a game out of it – I’ll often “forget” to turn off the lights when I leave a room, so she can feel proud of herself for reminding me. You can also show them that when the blinds or drapes are open, there’s usually enough sunlight to illuminate the room during the day. 4. When grocery shopping, use reusable totes and allow your child to decorate and/or pick out their own bags. My daughter fell in love with a Hello Kitty reusable tote and now we never go to the grocery store without it – she’ll remind me to pack it if I forget! 5. Teach your child that it is important to craft with natural materials and avoid plastics and craft foams, which are costly to produce, laden with chemicals, and not biodegradable. 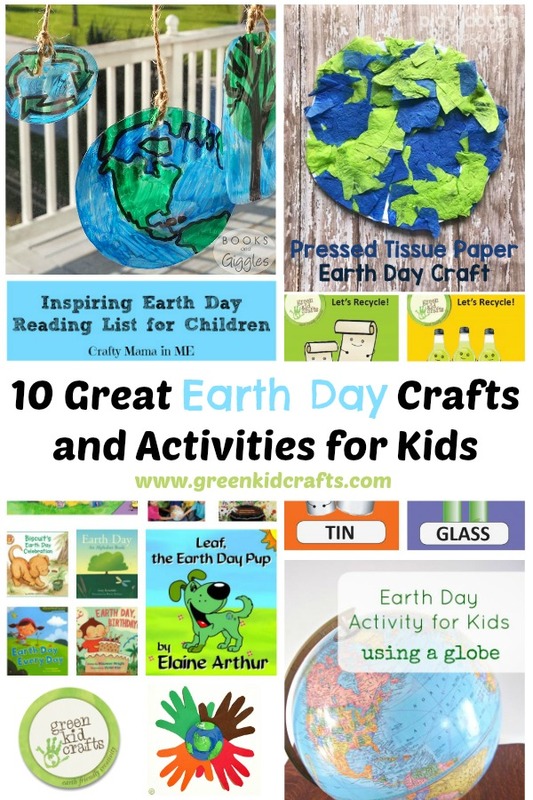 If you are pressed for time and creativity, you can join Green Kid Crafts for $19.95/month and get a box of earth-friendly craft projects delivered each month. 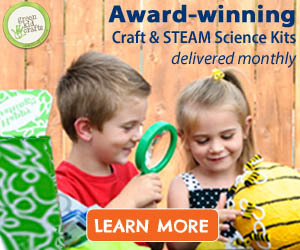 Visit www.greenkidcrafts.com for more information. 6. For outings, try to carpool with other parents or friends. Tell your child how important it is to conserve fuel by sharing trips when more than one person is going to the same place. If possible, walk or bike to get your errands done. 7. Teach your child that it’s good to shut the water off when brushing their teeth. Not only will you be teaching them good oral hygiene, you’ll be modeling good water conservation habits, too. 8. 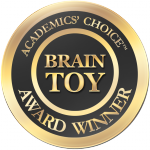 Instead of buying your child the newest toy, help them learn how to find new uses for their old toys or teach them the value of giving to others by donating toys. By helping your toddler figure out what to do with their old toys, you’re teaching them not only about charity but about recycling as well. 9. Help your child understand where their food comes from. 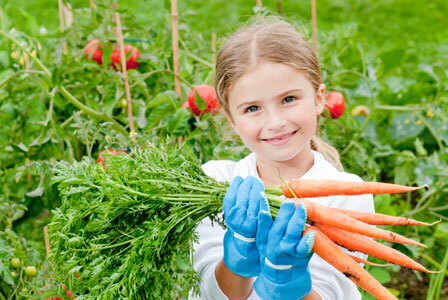 Gardening is the best, because your child can participate in growing food for your family. Let your child help prepare the food you eat, and don’t worry, the mess is well worth the benefit. Describe where meat and dairy products come from and the primary contents of processed foods. Consider a blessing of gratitude before meals for those who grew, harvested, transported, and prepared the food. 10. Model eco-conscious behavior. 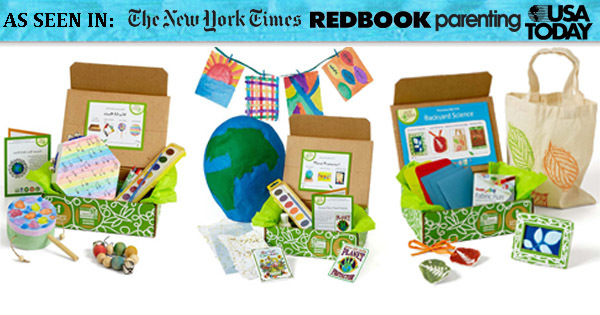 This is probably the most important way to raise a child that respects the earth. If kids see you being lazy and cutting corners, they will understand that it’s okay for them to do the same. A glass jar once made it into the trash at our house – we are definitely not perfect- and my daughter made my heart swell with pride when she fished it out of the trash and chided us for not putting it where it belonged. Teaching your child to be more eco-conscious can be really simple, and if it’s done the right way, it can even be fun and save you money. Start instilling good habits in your children early on, and those habits will stay with them for life, giving them a sense of pride and purpose. The health of the planet is in the next generation’s hands!